Opec and its allies are working toward a deal this week to reduce oil output by at least 1.3 million barrels per day, four sources said, adding that Russia's resistance to a major cut was so far the main stumbling block. 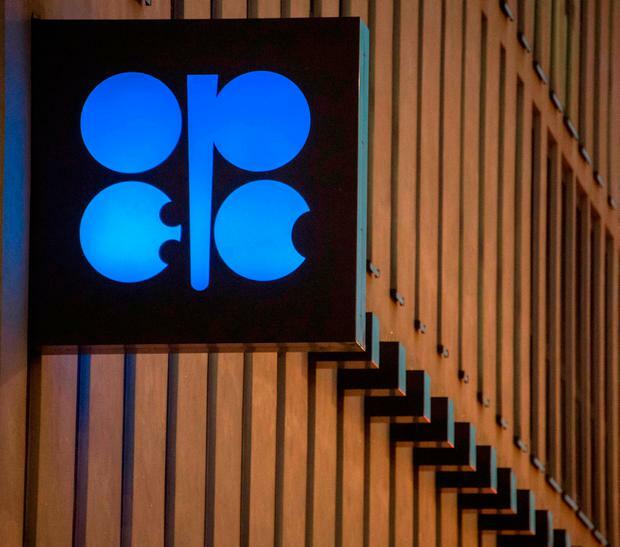 Opec meets on Thursday in Vienna, followed by talks with allies such as Russia on Friday, amid a drop in crude prices caused by global economic weakness and fears of an oil glut due largely to a rise in US production. The producer group's de facto leader, Saudi Arabia, has indicated a need for steep reductions in output from January but has come under pressure from US President Donald Trump to help support the world economy with lower oil prices. Possibly complicating any Opec decision is the crisis around the killing of journalist Jamal Khashoggi at the Saudi consulate in Istanbul in October. Mr Trump has backed Saudi Crown Prince Mohammed bin Salman despite calls from many US politicians to impose stiff sanctions on Riyadh. The sources said the meetings were taking place in a difficult environment and that Russia's position would be key in reaching a deal. Another Opec source said: "The Saudis are working hard on the cut. But if Russia says no cut, then we [Opec] won't cut." The Saudi and United Arab Emirates energy ministers, Khalid al-Falih and Suhail bin Mohammed al-Mazroui, said an adjustment in global oil output was required but all producers must be on board. "The next road to cross is whether all countries are willing to come on board and contribute to that cut," Mr Falih told Bloomberg television.